There were 256 press releases posted in the last 24 hours and 153,506 in the last 365 days. DALLAS, TX, UNITED STATES, July 13, 2018 /EINPresswire.com/ -- Downtown Dallas, Inc. (DDI) has partnered with ELERTS Corp, the leading provider of See Something Say Something mobile apps for incident reporting in airports, cities, and transit agencies, to provide the See Say Now app to businesses, residents, and employees in the Downtown Improvement District. The free app enables users to safely and securely communicate with DDI Safety Patrol and Clean Team for non-emergency issues, providing real-time information on concerns or issues, and is an extension of efforts from Downtown Dallas’ Safety Patrol and Clean Team. With the See Say Now app, Downtown has a simple way to anonymously report safety or cleanliness concerns instantaneously through a smart phone. The See Say Now app empowers people to take an active role in keeping their community clean and safe by reporting what they see. Users can send reports in 20 seconds or less. Downtown Safety Patrol dispatchers receive the reports on a web-based management console that allows two-way communication with app users. Incident reports may include photos, video, and a GPS map showing where the problem is occurring to enable a faster, more knowledgeable response from authorities. In a future update, ELERTS will integrate with the Downtown video surveillance network of 92 cameras, alerting authorities of which camera to view for more details on an incident or report. Empowering the public to quickly and anonymously report what they are seeing can make a big difference in public safety. ELERTS is already deployed at Dallas Area Rapid Transit (DART), as the DART Say Something mobile safety and security app. As a result, DDI and DART will be able to coordinate using ELERTS’ system, creating a robust safety communications network across the transit agency and the district. The See Say Now app is available in the iTunes Store and on Google Play. Once downloaded, Dallas users select Downtown Dallas Safety Patrol and Clean Team to begin reporting. DDI is a member of The International Downtown Association (IDA), a 1,000 member world leader and champion for vital and livable urban centers. ELERTS is exhibiting at the 64th Annual IDA Conference and Tradeshow in San Antonio in October. The Dallas Downtown Improvement District (DID) was created by Downtown Dallas, Inc. (DDI) in June of 1992 to fund important supplemental services and visible improvements to our Central Business District. 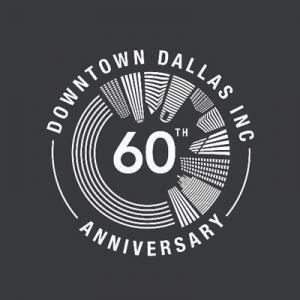 In 2001, 2005, and 2013, the DID was voted by property owners to be renewed, and has since embarked upon additional initiatives to make Downtown Dallas clean, safe, and fun for the entire community. The DID has been renewed through 2020. ELERTS develops the leading See Something Say Something communication platform for airports, cities and transit agencies. Its best-in-class incident management system is empowered by mobile, crowd-sourced reporting of safety and security concerns. ELERTS’ web-based management console provides dispatchers with real-time situation awareness contributed by citizens and employees. ELERTS cloud-based technology integrates with video surveillance, access control and mass-notification systems to provide actionable crowd-sourced information for first responders. With headquarters in Weymouth, Mass., ELERTS can be reached by 877-256-1971 or connect with us on the web at: ELERTS.com, on the ELERTS blog, or on Twitter @ELERTSCorp.